So we finally took off from KLIA last Sunday, for our 8 day trip to London and Paris. There were four of us – me and WY, along with my good pals Pat and MY. Our flight was from KLIA at about 10am, and we landed in Heathrow at past 4 in the afternoon. What do you do during a 12-hour non-stop flight? Well, I slept a little (unsuccessfully) so I watched a lot movies (4 movies) and TV shows (2 episodes of The Simpsons). 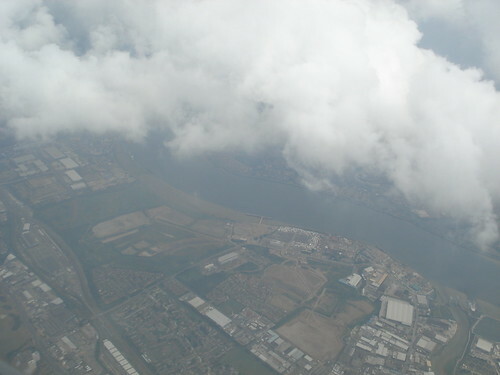 The weather was good when we reached the UK, and we finally got a clear glimpse of the British Isles. 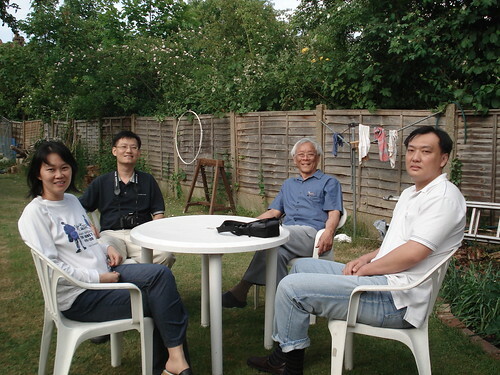 Our hosts were MY’s uncle and his wife, who own a beautiful two storey home in Hounslow, very near Heathrow. Here’s us sitting in his garden watching the aeroplanes whizz by every 90 seconds or so (actually in the photo I’ve been up for almost 20hours so I was quite sleepy!) We had a great dinner at home with roast chicken and pork (although I was still very full from the airline meals). 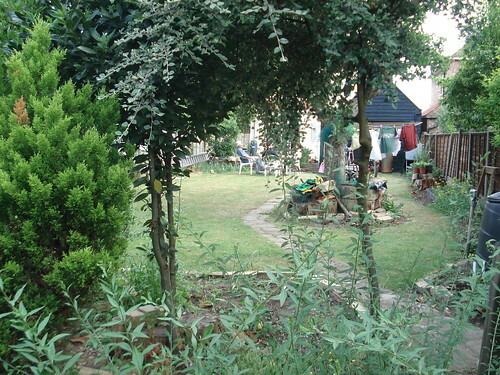 The house is has a large garden, about twice the size of the house, where they plant lots of fruit trees and seasonal vegetables. 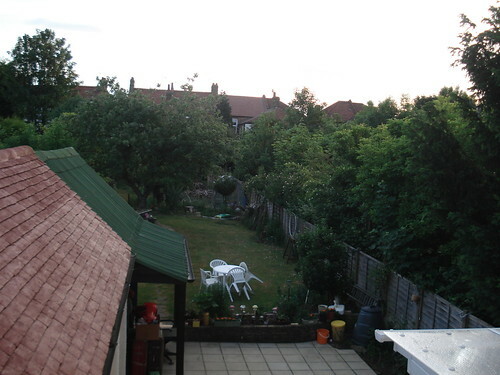 Since it was early summer, it was still bright after dinner so we took a walk in Hounslow town. 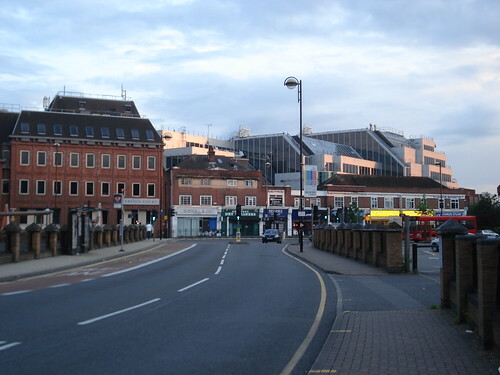 It’s pretty but it has most of the big stores like Marks & Spencer, Primark, SportsDirect and TKmaxx. There’s also an Asda nearby. After that we went to bed after the first of many long, long days. We woke up early on day 2. Pat told us that the thing with summer is that your body tends to rise early with the sun, even though you sleep less you don’t really feel tired. This is the view outside my room at 5.30am. Beautiful, isn’t it? 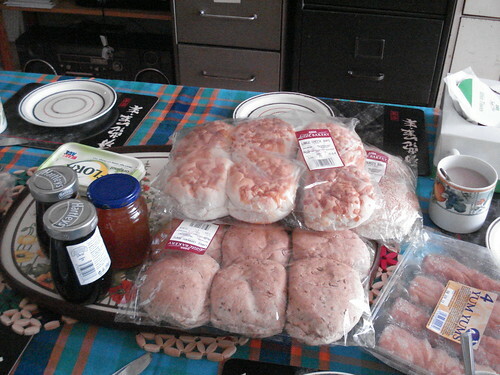 Breakfast at home, mostly from Asda. You can see my morning cuppa coffee there. Then after getting a 1-week Oyster card (about GBP36) for the tube, we’re off too London! 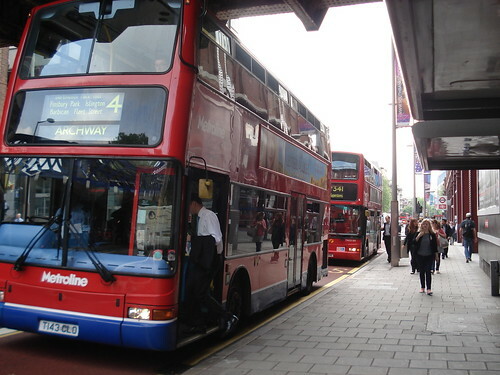 Out of the tube station in Waterloo, the first thing we saw were the big double deckers! 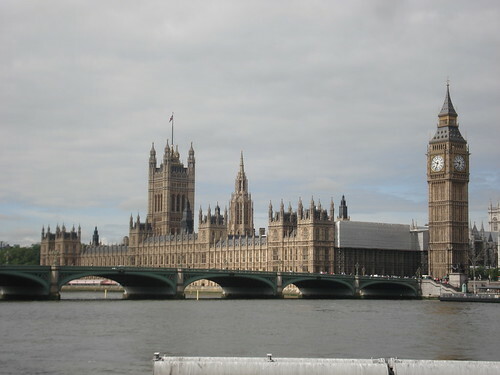 We took a long walk from Waterloo past the Eye on London, across the Thames via the Westminster Bridge and we could see Big Ben in all its glory. That’s the houses of parliament beside it. 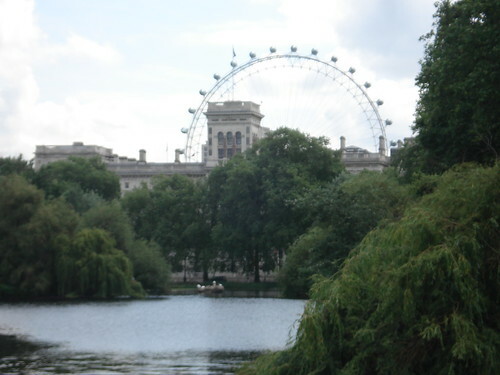 Then we continued our slow sightseeing walk to Buckingham Palace via St. James Park. 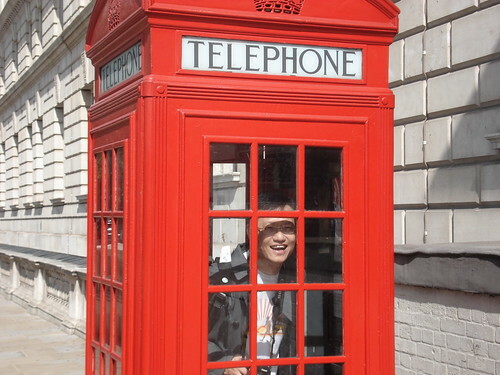 Here’s Pat in the phone booth. 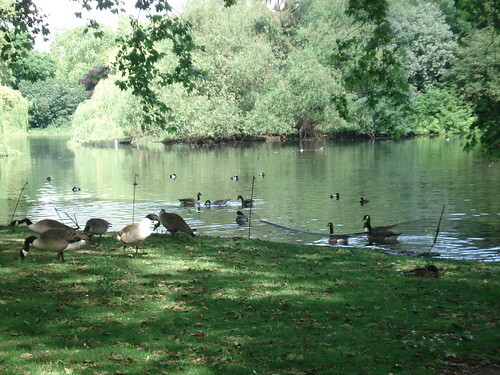 St James Park is a large royal park with lots of ducks, mallards and pigeons. And not to mention chipmonks. 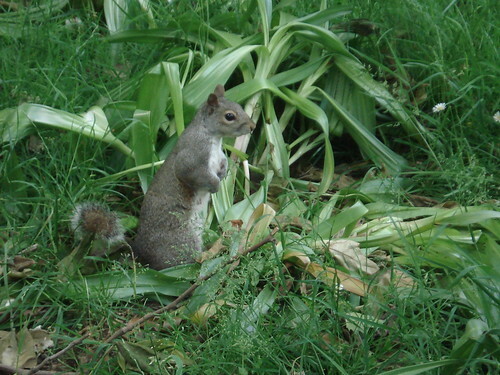 Really BIG chipmonks. View of the Eye from the blue bridge at St. James. 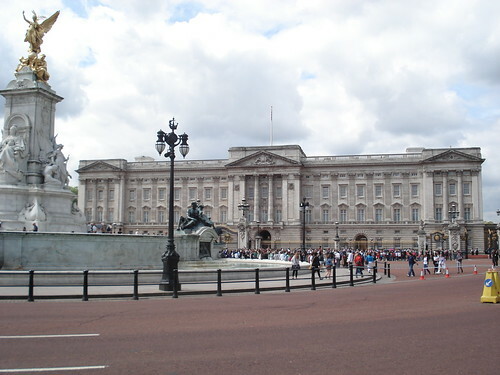 Reached Buckingham Palace in time for the Changing of the Guard. That’s the Victoria Memorial in front of it. You can see the large crowd swelling way before 11am. 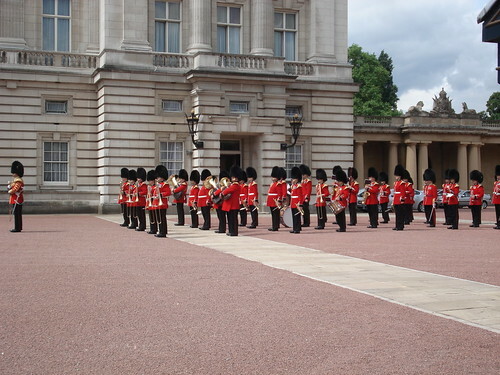 Well I guess you can say the Changing of the Guard is a little overrated, especially with all the over-eager tourist pushing and climbing the steel fence, but I suppose its one of those thing you should at least try to watch once. 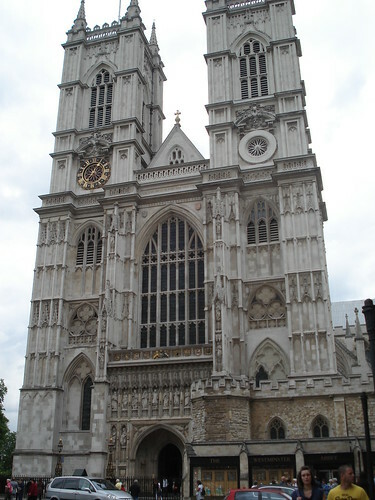 Then we walked to Westminster Abbey to grab our first lunch. 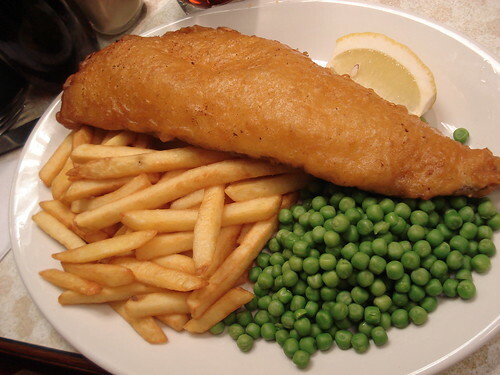 It was fish and chips for me. No beer yet, though. The great Abbey was indeed spectacular, rich in history and sights. They had this nifty audio guide you can borrow for free (voiced by Jeremy Irons) explaining some of the more important sites and artifacts. The only downside is that you can’t take photographs inside the abbey. I got a cool gift from the shop, though. After that, we were not done. 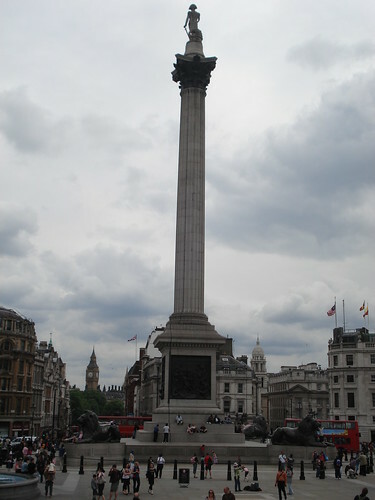 It was still early in the afternoon, we took another train to Trafalgar Square to see Nelson’s Column and the lions. By the way, there are hardly any pigeons left here. 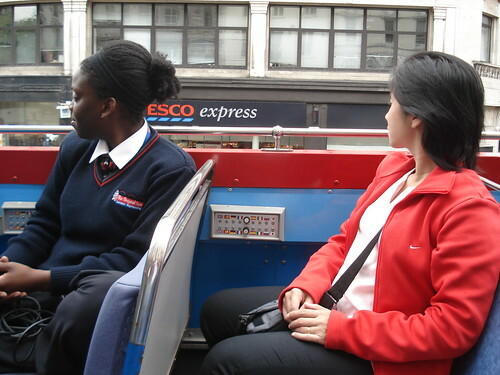 We redeemed our pre-purchased unlimited open bus tour, and hopped on this red bus that goes around London. There’s a tour guide, she’s really charismatic and funny! That’s her on the left. We actually took the full route of the bus tour, including an equally good Thames River cruise. After a long, long day, we had a late dinner at Oxford Street in a typical English pub (called Coach & Horses. Funny). 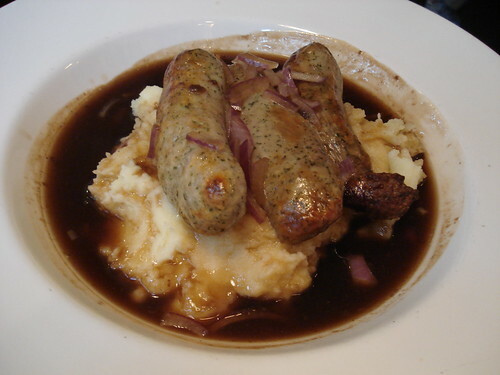 I had the bangers and mash (sausages and mashed potatoes) with a pint of Stella Artois. Delicious. After that we still had a little time for shopping we got some shoes from the large SportsDirect outlet on Oxford Street. You can get Fila and Reebok running shoes from as low as GBP14 there. After that we took the long train ride back home to Hounslow, trying to stay awake in the train. Tired, but happy. So that was our first full day in London. Next, we take on Highbury, British Museum, Chinatown and West End. Must have lost alot of weight with all that walking? Boone – thanks! hope to put up one per day… time permitting. Ann – good to be back! i think all the rich food balanced out the cardio from walking. Nice pics !! these are the places that I stayed for last 4 yrs and now after coming back to my homecountry I miss them the most. London !! 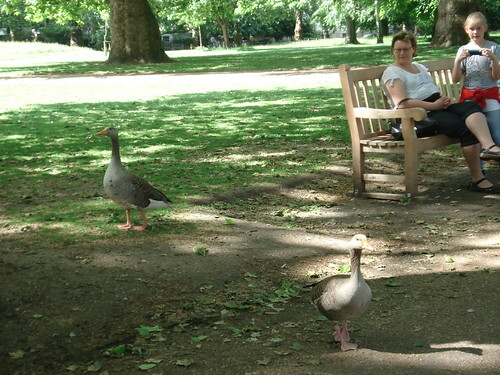 close your eyes and you can breathe in the British air,so difficult to forget and so dear to cherish.